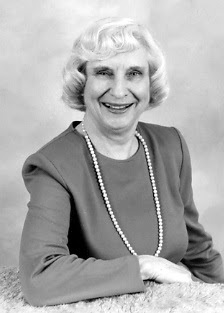 La Leche League International and the world lost an amazing woman when Betty Wagner Spandikow, of Glen Ellyn, Illinois, passed away October 26, 2008. Betty was co-founder of La Leche League International and co-author of The Womanly Art of Breastfeeding, which has over 2 million copies in print. In 1956, Betty Wagner and six other women met in Franklin Park, Illinois to share information on how to successfully breastfeed their babies. The group quickly attracted the attention of other women and became an organization called “La Leche League.” Betty was expecting their fifth child, and when asked to be a part of the group that was being organized to help breastfeeding mothers, she was eager to join. At first Betty served as the first treasurer and business manager of La Leche League International. She was chief executive officer of the league from 1972 until her retirement in 1991. During her tenure as chief executive officer, Betty oversaw the work of more than 50 employees. She initiated flex hours and a family-friendly workplace with hours that allowed parents to be home with their children after school. “She had rocking chairs in her office and toys everywhere for children who came to visit,” said Jane Crouse, the public relations associate for La Leche League International. Even though this amazing woman’s work was far reaching, she never regarded what she did as anything spectacular. Her philosophy was that breast-feeding was nature as it was intended. Ghirardelli Chocolate + Pregnancy = Happiness!